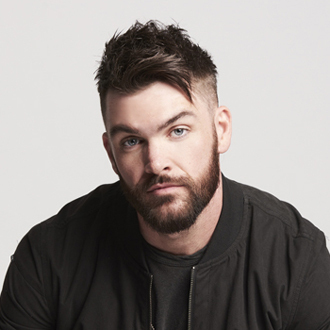 Country music artist Dylan Scott is back in the Top 10 on Billboard’s Country Airplay chart with his addictive single, “Hooked.” Impressively, as a songwriter, the Louisiana native had his first number one hit in 2016 with the platinum-certified single, “My Girl.” But success for the singer/songwriter came slowly over six work-filled years, as he traveled the country building an audience and learned the craft of songwriting. Growing up in a musical household with a father who was a guitar player for country legends Freddy Fender and Freddie Hart, Scott moved to the Nashvilleas a teenager, signing a contract at the young age of 19. In 2013, he released his debut single, “Making This Boy Go Crazy” from his self-titled EP. The follow-up, “Crazy Over Me” debuted at #14 on the Billboard Country Digital Song Sales chart. Then three years later, his first album for Curb Records, Dylan Scott, reached the Top 5 of Billboard’s Country Albums chart. He also has opened for Justin Moore’s Hell On A Highway Tour. Notably, his current single “Hooked” (written by Morgan Evans, Seth Ennis & Lindsey Rimes), has been streamed over 67.5 million times. We are pleased to present this new Q&A interview with Dylan Scott. He recalls the story of how he selected “Hooked” to record, and he tells how his wife, Blair, has an ear for hit songs. He also explains how marriage and fatherhood has changed him. Dylan Scott: It was one of those songs that your buddies send you. You’re riding down the road and your wife is in the passenger seat. You play it, and she really doesn’t say anything—she immediately starts jamming. The song ends, and she presses play again. By that time, I knew she was digging it, and she’s got a pretty good ear. She’ll tell me real quick if she likes or doesn’t like a song. The song ended, and she looked at me and said, “Alright. Are you going to record the song?” I said, “I think I will.” I think it just resonates with people. It’s uptempo, and it’s summertime. People just enjoy uptempo songs. BC: Your first big hit, “My Girl” was inspired by your wife. How did the song develop? Scott: We had been dating a long time, since I was 15. When I was 19, I had just moved to Nashville, and she was still in Louisiana. We had a long-distance relationship. I went home to see her. We were riding down the road just talking and listening to the radio. She was a shy girl ….so the last thing I expected was for her to start rapping this song word for word. She was dancing. She moved over to my side of the truck. This was hot! I started a song about it. I wanted to write about all the things I get to see in my girl that not really everybody else is going to get to see. Then six years later, a song that I wrote became my first number one. BC: How early did you start writing music? Scott: I didn’t start writing music until I came to Nashville. I grew up wanting to perform and sing, and I didn’t really know the songwriting world that well until I got to Nashville and started meeting all my buddies that I still have today. They taught me what I needed to know. It was then when I got to Nashville that I thought…Alright, I like the songwriting field. I like to put my life in a song and see other people relate to it. Scott: There’s something knowing that you sat in a room or on a bus and wrote this song that was not there a couple of hours ago, and then you get on stage and people are singing it back to you. I don’t know how to explain it. It makes you feel good. It makes you feel like you’ve done something that has either helped somebody with their life or made them smile or made them cry. I kind of feel the same way with a song I record, but there’s just a little something more, a little something different, if it’s a song you actually wrote. Scott: I’ve got a new 8-month-old baby boy, and I’ve got my wife. When I’m home, I have to devote a lot of time to them as well because I’m working so much. Now, what I do is I take my buddies on the road with me. We’ll go out on a bus on a Wednesday night, and we’ll write Thursday, Friday, and Saturday in the back of the bus and record back there as well. By the time we get back home on Sunday morning or Sunday afternoon, we’ve written two, three, or four songs. BC: What is your greatest strength as a songwriter? Scott: It just depends on the song. There are some days, man, I feel like I don’t have a lyric. My mind’s blank. Then, somedays I’m full of good lyrics. I really pride myself on knowing what I want as an artist when I write. Sometimes you don’t know what you want. I like to sit down and go, ‘Alright, I like this melody. I like this feel. I want to write about this certain subject.’ That really helps other writers in the room as well. ‘Cool. I can dig that, and I can hone in on that.’ I do like to be a good melody guy for sure. BC: Are you finding additional inspiration by being a new dad? Scott: Absolutely. Beckett is 8-months-old and we’re releasing a song called “3 a.m.”—it’s the first daddy song I wrote after becoming a daddy. It’s basically a song about before you’re married or before you’re a dad, the things you do at 3:00 a.m. with your buddies is a lot different than what you do at 3:00 a.m. when you’re a dad. You’re rocking them back to sleep. BC: Your dad is in the music business. What was it about seeing him involved in the music that maybe helped motivate you to get involved? BC: What’s it like being out there on stage compared to what you imagined in high school? Scott: The past year to right now (performing live) is what I wanted. When you’re in high school and you’re dreaming about being on stage and thousands of people singing your songs back to you, you always in the back of your mind go, “Man, will it ever happen?” It’s kind of happening for us right now…it’s a blessing. We’re just having a lot of fun and living for every night. BC: You reached success pretty quickly with a contract at the age of 19. Scott: We signed a contract at 19, but from 19 until I was 26, it was a struggle. It was a lot of work. We were out on the road busting it every weekend, playing shows and building it slowly but surely from 100 people to 500 to 1,000. Once we got a number one with “My Girl,” things really seemed to happen a lot faster for us. It took a few years, but it was worth every night of thinking whether we were going to do it. You’ve got to work for everything. It’s not handed to you. BC: Your brother, Logan, is your guitar player in the band. What’s it like working with your younger sibling? Scott: Luckily, our personalities are totally different. I’m high-strung and energetic and ready to go, and it’s sometimes annoying where he’s laid-back and calm (laughs). We don’t really clash. We never fought growing up. We kind of do our own thing, and it works out great, man. It’s cool to have your brother out on the road with you. He gets to experience the same things you get to experience. BC: What’s coming up next? Will you be touring more? Scott: We have some music coming out this fall. The first of the year we’re going to do our own headline tour, playing some cool markets and cool venues.